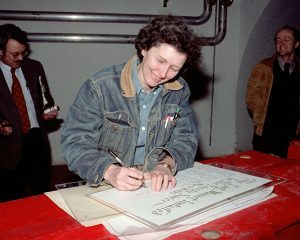 In 2016, we said good-bye to pioneering physicist Helen Edwards, one of the architects of the Tevatron, who died just over a year ago. This year we honor Helen’s work by naming one of our internship programs after her. Fermilab’s Helen Edwards Summer Internship program (formerly Physics of Accelerators and Related Technologies for International students — PARTI) has been operating since 2003. In renaming the program, the program leaders commemorate Helen’s impact on the field of accelerator science and technology at Fermilab, her multiyear effort in various international collaborations, and her legacy as a mentor of many accelerator physicists. The motion to rename the internship was initiated by the program leaders and supported by the laboratory management. The program offers 10-week summer internships to students from universities in Europe majoring in physics and engineering. These internships provide a chance for students to work with Fermilab scientists and engineers at the frontier of scientific research in the physics and technology of particle accelerators. The internship addresses workforce development in the accelerator sector as one of the general goals stated by DOE Office of High Energy Physics for the General Accelerator R&D (GARD) program. The goals of the program are to a) pipeline young physicists and engineers into the Fermilab accelerator science and technology workforce (and that of the U.S. national laboratories in general); b) motivate students to pursue a career in science and technology; c) improve the relationships between countries by allowing the students to sample an American lifestyle. 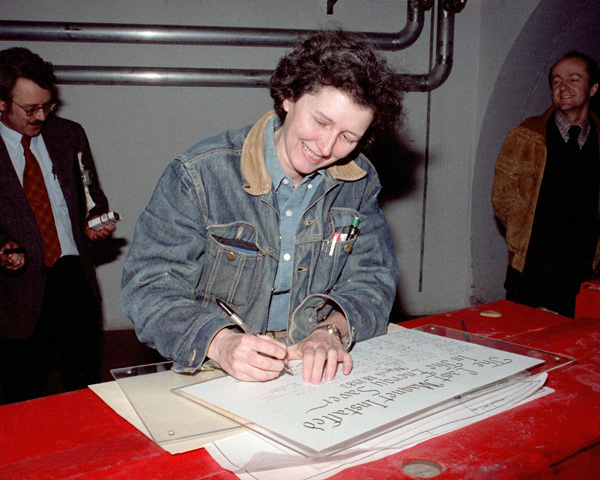 In 1983, Helen Edwards signs a document commemorating the installation of the final magnet in the Energy Saver, after which the accelerator was renamed the Tevatron. Over the 15 years of its existence, the program hosted 101 students, most of whom continued to pursue a career in science. About 10 continue to work in accelerator-related fields. Sixteen former students came to Fermilab either as master’s or Ph.D. students or as visiting scientists or engineers. At present, three former interns are enrolled in the Ph.D. program at the University of Chicago, and one is at the Northern Illinois University. 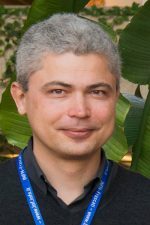 Five received a Ph.D. in accelerator physics or technology, three are currently employed at Fermilab, and one is a CERN Fellow. It’s impossible to overstate the impact Helen made on the field of accelerator science. By conferring her name to this successful internship program, we hope to remind participants — and others — that Helen very likely helped blaze the trails that make possible their pursuit of accelerator research. Alexander Valishev is an accelerator scientist and the leader of the Helen Edwards Internship Committee.